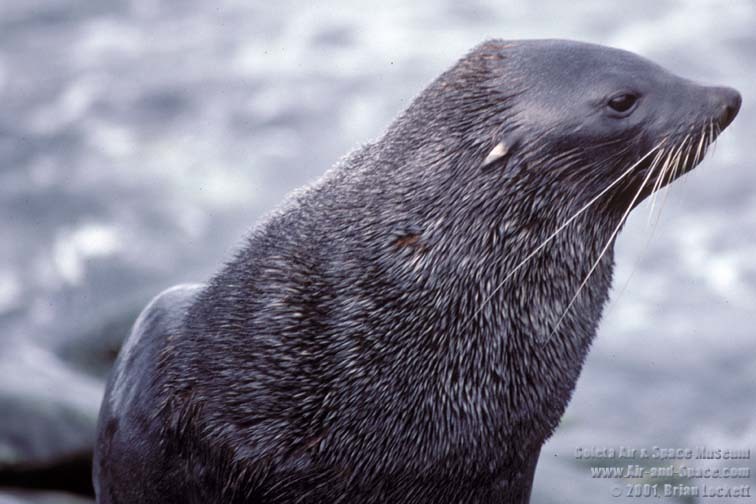 Antarctic Fur Seal – tThe only eared seal in the Antarctic. Fur seals can be quite aggressive and it is wise to give them a wide berth, especially in the mating season! Within four years of their discovery in 1819, over 320,000 Fur seal pelts were taken from the South Shetland Islands. Today the Fur seals are making a rapid comeback and are regularly seen farther and farther south on the Antarctic Peninsula.